1. Try again at a previously failed attempt. 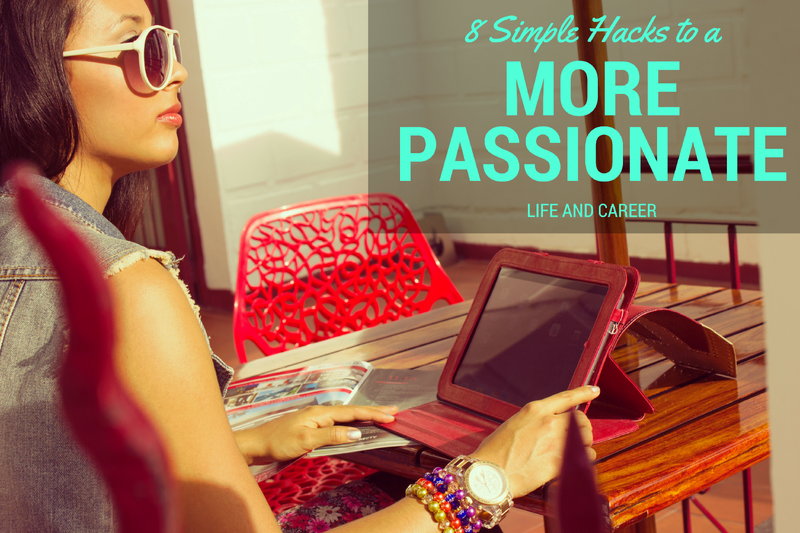 Lori Bumgarner, M.Ed., Passion & Career Coach at paNASH | www.yourpassioninlife.com | Helping you discover and pursue your passions in work and life. Most people will suggest you try something new and I’m all for that. I’m a big believer in trying new things, whether it’s new food, a new hobby, or even something as simple as a new route to work. But I also know it’s important to try something old. Especially something you once attempted and failed at before. You may remember from my article 5 Ways to Discover New Passions, I shared how I failed at my first attempt at rock climbing and how something clicked after giving it a second chance. This gave me more confidence and a greater interest in the activity, resulting in physical improvement in my body. What’s something you can try again? What would be the possible benefits of trying it again? 2. Do one thing you can complete within 24–48 hours that will put you one step closer to achieving a long-term goal. You can accomplish a large goal by taking a step-by-step approach. Incremental steps add up to big achievements. Simply doing one small thing each day will help you develop habits necessary to reaching your goal. What’s one thing you can do today to get you closer to achieving your bigger goal? What’s one thing you can do tomorrow? Ask yourself these questions every day. Before you know it, you’ll have accomplished more than you thought you were capable of! Source: paNASH’s on-demand program, Don’t Just Set Goals, ACHIEVE Them! 3. Understand how your strengths and skills benefit others. Knowledge of what you’re good at is power, especially when trying to win a job interview or get promoted. But knowing how your skills solve other people’s problems helps you better understand your purpose, not just in work but also in life. Think about your strengths and skills you possess both within and outside of your job. How do they benefit others? For example, my top spiritual gift is encouragement. I use this strength in so many aspects of my life, including my work, my interactions with friends, and when learning alongside others. I’ve been fortunate to see how this gift helps people gain the courage to pursue their passions. Source: paNASH’s on-demand program, Personal Branding: How to Know What Makes You YOUnique and AWEthentic! 4. Update your resume every 6 months, even when you’re not looking for a job. Because of my background as a career coach, I’ve helped thousands of people with their resumes. I always tell them the same thing: keep your resume updated every six months. Why? 1) Because you never know when someone will ask for a copy of it. 2) You never know when another career opportunity or promotion will come your way. 3) It’s easier to remember what you’ve accomplished in the past six months than in the past six years if you find yourself in another job search down the road. 5. Ask 3 people who have your dream job how they got to where they are. These conversations can open your mind up to ideas and opportunities you never before considered! Listen carefully to their stories while asking a lot of good questions. Learn not just from their successes but also from their failures. You may find there wasn’t a straight line to their career path. There rarely is for most people. This can give you confidence to pursue a new career path despite lack of formal education or direct experience. Take their encouragement and advice. Put it into action to see how far you can go in the direction of your personal and professional pursuits. 6. Make a list of questions you’d ask if you were interviewing the interviewer. People often forget the job interview is a two-way street. You should always ask questions to help you make the right decision when faced with multiple offers. Besides money, think about the things you’d need or want in your next job. They could include similar core values, a flexible schedule, a culture that promotes “family first,” healthy living, etc. 7. Start a collection of your best work. Curate a collection of your best work both from your job and your outside projects. This can include personal things you’ve made (i.e. a book, a painting, etc. ), and the projects your most proud of from your job. Your body of work will help you see how your skills overlap. But most of all, it will reveal your own career path thus far and where it might be pointing to next. 8. List the ways you’ve impacted the bottom line in your job. When you’re working on hack #4, always include your on-the-job accomplishments and results of your efforts. By focusing on results and not just your job duties, you’re able to easily see where you’ve had an impact, giving you a greater sense of purpose. Also, it helps you confidently discuss your worth when it comes time to negotiate a new job offer, a promotion, or a pay raise. When you follow these life and career hacks, you’ll start to see ways to become unstuck. Soon you’ll be living a more passionate, vibrant, and productive life! Lori Bumgarner is a passion and career specialist and owner of paNASH, a Nashville-based career coaching service. She helps people discover their passions, achieve their goals, and find purposeful work they love. She addresses each of the above hacks in depth in her new affordable on-demand coaching programs delivered online. To access these programs and view them at your own pace, go to: www.yourpassionilife.com/ondemand. Originally published at www.yourpassioninlife.com on May 2, 2017.